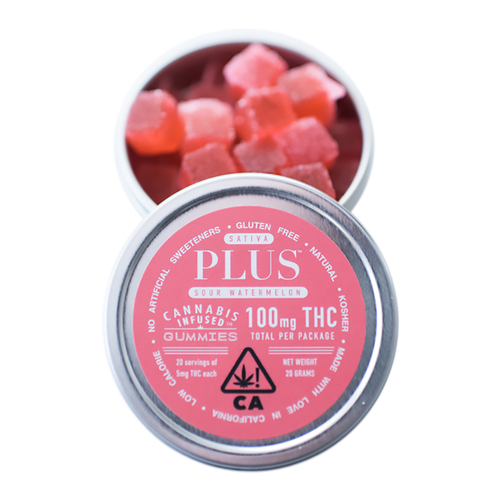 100MG THC PER TIN // PLUS™ Sour Watermelon Sativa gummies are perfect for micro-dosing. These sativa heavy gummies produce an awesome yet functional high. At 5mg per piece, whether you want to take the edge off of your day or get into a creative vibe, these are your gems. Each low-calorie gummy is made from scratch with natural, kosher ingredients and infused with carefully sourced top shelf ?ower.